a journey of delight : calder at tate modern. | owl's house london. a journey of delight : calder at tate modern. For those who have not lost their childish fascination with colours and shapes, movement and balance, Calder’s work remains a delight and inspiration. There is little darkness in his work, only a restless, fascinated mind, immersed in a journey of delight. Calder plays it straight. Calder’s work is exactly what it appears to be. The strength of his work is this directness, without subtext; a refreshing lack of hidden meaning. 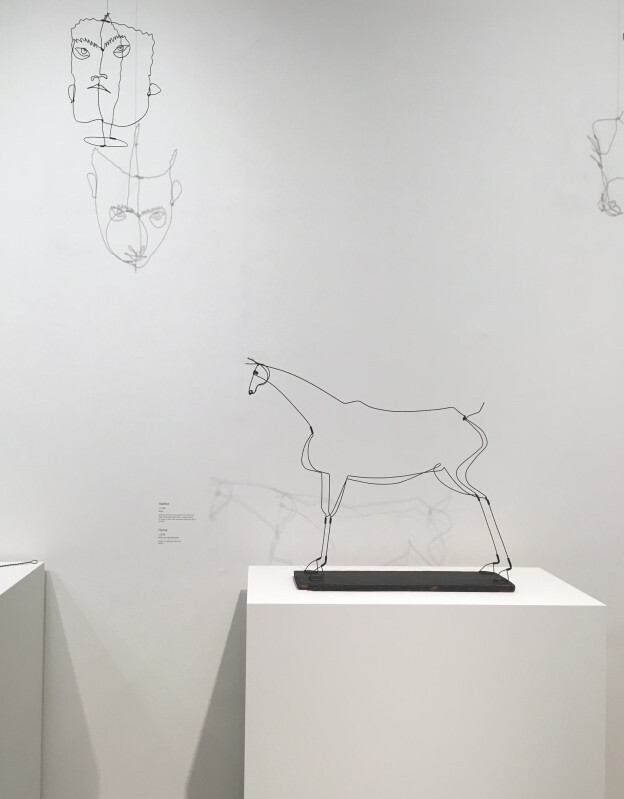 We see Calder’s delicate mercury sculpture sitting with the vast canvas of Guernica in the background; Picasso’s dark genius and Calder’s lightness working brilliantly together. 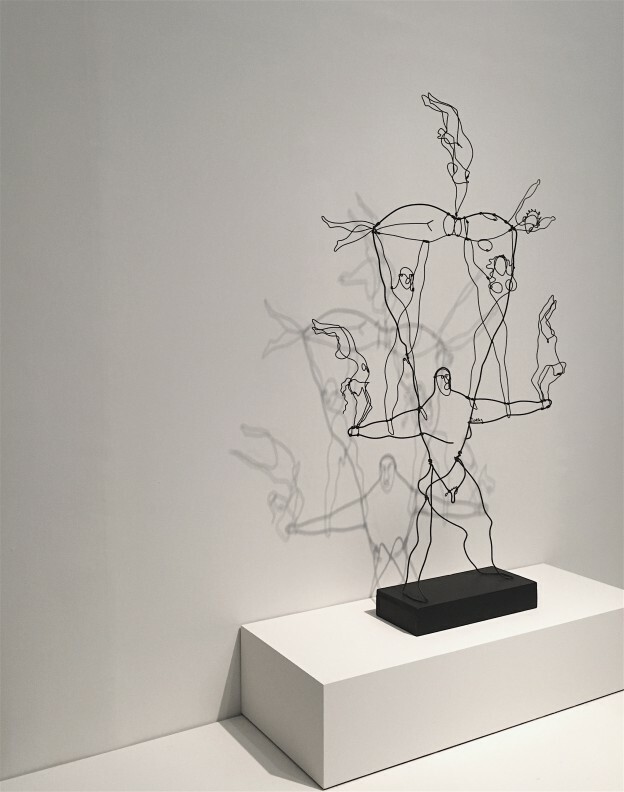 Picasso’s primary themes are those of humanity; Calder’s are of nature; he plays with lines, mass, force and momentum. 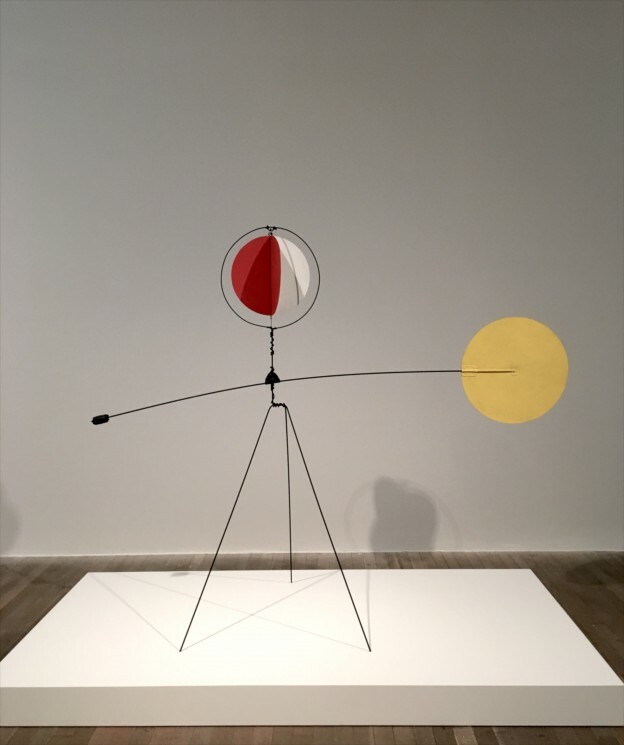 Calder emerged in an era when art was still catching up with the discoveries of 19th Century science and the technology of the 20th – not least the moving image. Calder’s work brings movement centre stage into art in a way that surpasses other artists often unsatisfactory attempts of that era to incorporate time (I’m thinking of cubism). Apart, of course, from the most successful new art form of the 20th Century, the movie itself. Human visual aesthetics is derived from a highly developed appreciation of the body in both movement and poise. 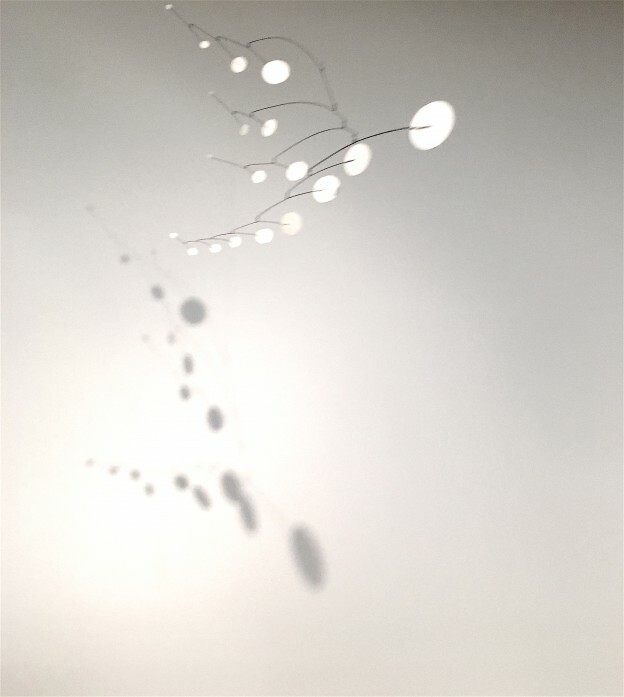 Calder’s unflinching preoccupation with mechanics; his exploration of the fine line between balance and movement, his testing of how far a rod or sinew can be stretched and still hold, resonates with what we naturally find beautiful and satisfying. Calder does all this, and brings it into delicate and playful fusion with the rawness of his materials, the formal language of late Matisse and a touch of the surreality of Miro. I’m going back for more. Guest post by Jeremy Walker, architect and cardboard sculptor (HeathWalker Studio). Photos: owl’s house london using iPhone 6. This entry was posted in happenings., in the gallery. and tagged Alexander Calder, art, in the gallery, installation, mobile, Modernism on December 11, 2015 by owls house london..
Pingback: a painter and a sculptor. | owl's house london.